Fits all cars with a 17mm lug bolts. Dark grey color may differ from OE caps Requires special tool 8D0012244A to remove, or else you risk damaging your wheels. A.P.A. Industries Inc, the company that brings us URO Parts, was created in 1984 to sell a small line of Mercedes-Benz accessories in Hemmings Motor News and other similar publications. From those small beginnings, the company today offers 4,000 high-quality spare parts for a range of European vehicles. Many of us now look, time and again, to URO Parts because of their quality and competitive price. According to the company, APA's mission statement for the URO Parts brand is to address customer needs by offering products adhering to the highest standards in precision, materials and workmanship thereby creating a better option in the European replacement part industry. A.P.A. 's OEM division currently supplies products to Mercedes-Benz, Jaguar, and SAAB, and is currently working to develop a line of offerings for Porsche. It is in the replacement part market that A.P.A. leads the field as a supplier of parts and accessories for Audi, BMW, Mercedes-Benz, SAAB, Volvo Jaguar, Land Rover, MG, Porsche, Triumph, and Volkswagen. As a manufacturer, A.P.A. sets itself apart from other OE manufacturers with an ability to provide quality parts in small production runs. This allows URO Parts to provide parts for European automakers that sell vehicles in volumes too small to attract larger OEM's. Through URO Parts, A.P.A. successfully reintroduces parts for manufacturers that were discontinued by the original OEM supplier. 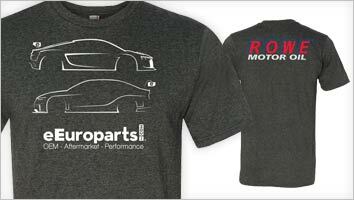 URO Parts is our continued partner in keeping the vehicles of loyal owners on the road. All of URO Parts manufacturing facilities are ISO 9000 certified to ensure manufacturing standards consistent with the highest levels of quality. 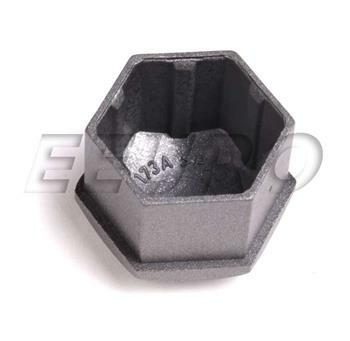 If this is not the exact Wheel Bolt Cover (Gray) (17mm) you are looking for, or you would like this part in a brand other than URO Parts, please contact us and one of our customer service experts will help you locate the exact part you need. eEuroparts.com® proudly offers wholesale prices and fast shipping available on most orders. 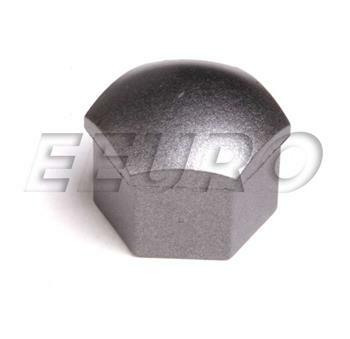 We also provide inexpensive and guaranteed 3 day, 2 day, and Overnight shipping options, so if you need your Wheel Bolt Cover (Gray) (17mm) tomorrow, eEuroparts.com® can deliver! Every eEuroparts.com® order is track-able, meaning you'll know exactly where your Wheel Bolt Cover (Gray) (17mm) is at every step of the shipping process. eEuroparts.com® also displays your Expected Ship Date and transit time in your Cart, making our entire shipping process simple and transparent.